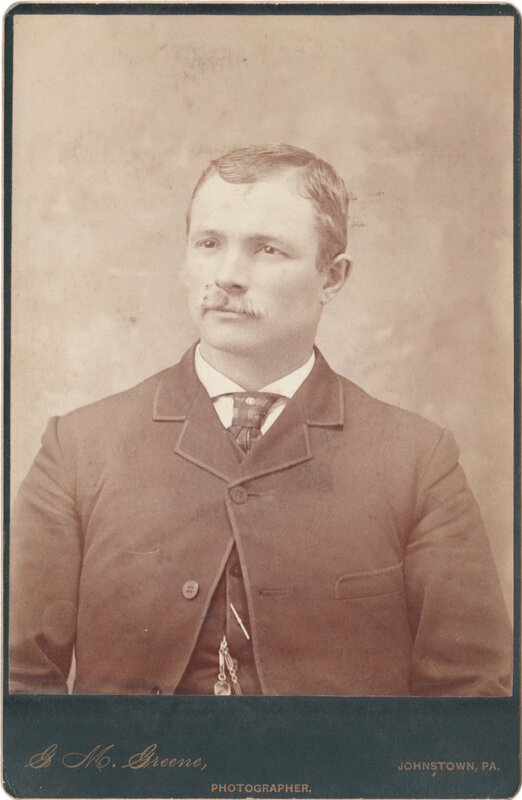 This is my 3rd great uncle, Joseph Costlow (1855-1932). He was the older brother of my 2nd great grandmother, Mary Margaret Costlow Rhoads (1858-1947). A lifetime bachelor, Joseph spent his life in Cambria County, Pennsylvania. There is no record of his having children. Joseph died, seemingly alone, with a suspected history of alcoholism. In a previous post I showed a photograph with Joseph and several others in his family. 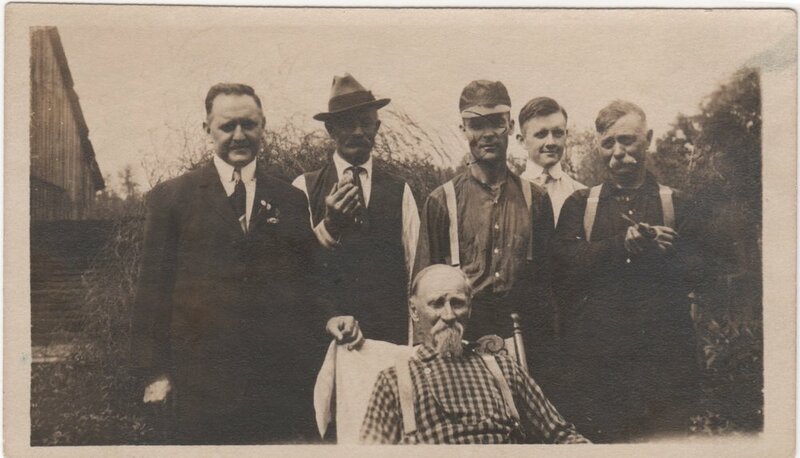 You can see him on the far right, wearing suspenders and smoking a pipe. Beaverdale, June 20 -- JOSEPH COSTLOW -- Joseph Costlow, bachelor, aged 77 years, formerly of Sidman, died at 8:30 o'clock yesterday afternoon near Ebensburg. His body was taken to the home of a brother, Edward Costlow, in Sidman, and funeral services will be held at 9 o'clock Wednesday morning in St. James' Catholic Church, at St. Michael, burial to follow in St. Bartholomew's cemetery at Wilmore. You can find Joseph’s Find a Grave memorial here. Note: his mother is incorrectly listed as Elizabeth Seese Costlow (1834-1921). His mother is, most likely, actually Sarah “Sallie” Reynolds Costlow (1824-1865). His father (my 3rd great grandfather), James Costlow (1822-1904), married Sarah first and had several children with her. Elizabeth was his 2nd wife and records indicate that they had 3 children together. These would be Joseph’s half siblings. One of those half siblings was likely the Edward Costlow (1876-1945) referenced in Joseph’s obituary. Here is a picture of that half brother, Edward, and his family. I also wrote about this photograph here. There is a lot I don’t know about Joseph’s life. 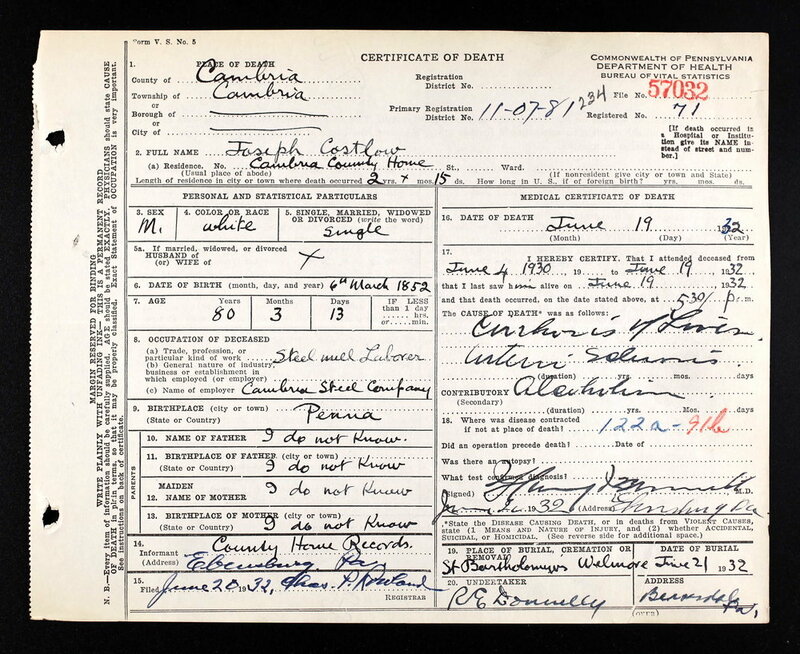 Some sad, last bits of information about him are revealed on his death certificate. There is a discrepancy in his birth year (1855 vs. 1852) that is somewhat curious. I am chalking it up to a simple error of reporting or recording. Joseph was an alcoholic. It is likely he struggled with alcoholism for many years as his cause of death was listed as “Cirrhosis of the Liver”. Other factors contributing to his death were atherosclerosis (I think) and his alcoholism. In researching the Cambria County Home I found this article about 4 years before Joseph’s death. It details three deaths as a result of “poison moonshine whisky.” Though not dealing specifically with Joseph, I wonder if it gives an indication of the kinds of people who ended up in this home. It is unclear how long Joseph may have stayed at the Home, or what exactly the Home was. Though “inmate” suggests he was held there involuntarily, it could also just be a hospital where people like Joseph, lonely and sick, went to live in the last years of their lives. What were the last few years of Joseph’s life like? Was he close to his family? How did his addiction impact his relationships with others? Did he really not know who his parents were? What happens to the stories of those in your family tree who don’t have children to pass them along? What do you think, feel, and wonder about as you read the details of Joseph’s story? 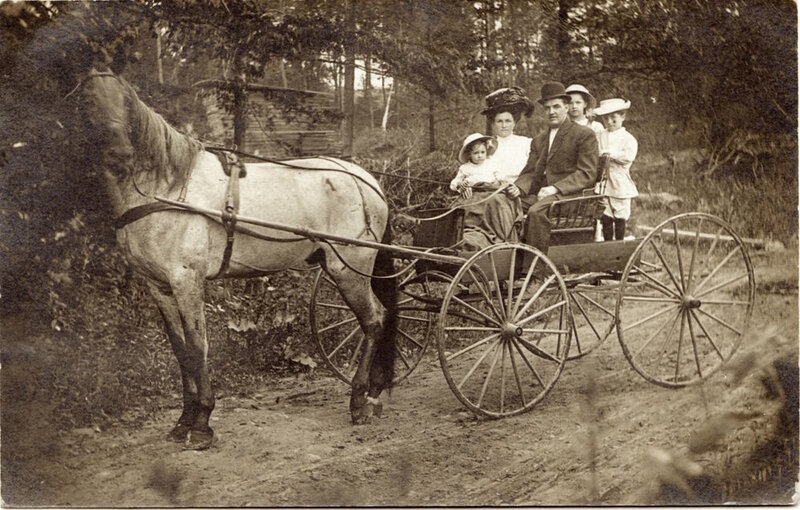 Do you have stories like Joseph’s in your family tree? Send me an email. I would love to hear about it. This is the 38th of 52 weekly posts planned for 2018. It was inspired by the #52Ancestors writing challenge issued by professional genealogist, Amy Crow Johnson. The challenge: once a week, for all 52 weeks of the year, write about a relative in your family tree.